The A.N.I.M.E. series promises a perfect synthesis of anime proportions and high possibility! 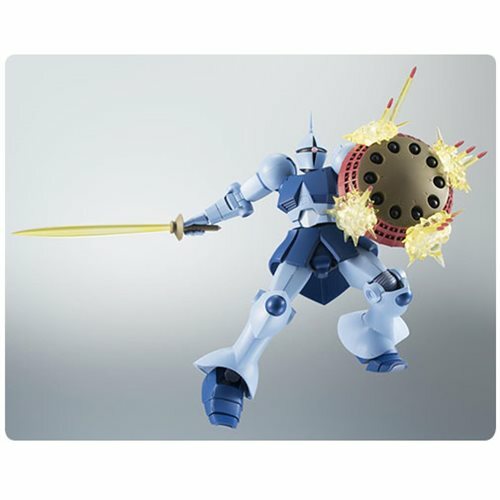 Now the classic YMS-15 Gyan joins the lineup. 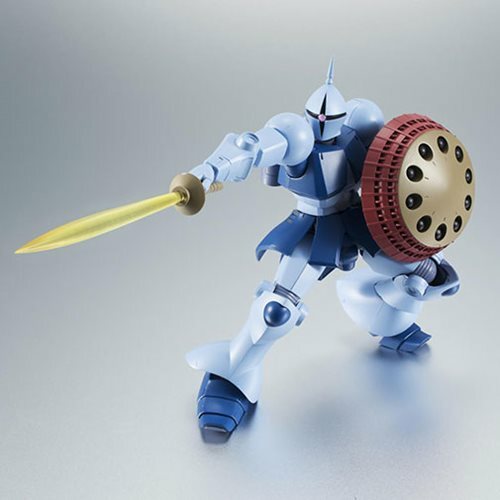 A prototype piloted by M'quve that saw combat in Texas Colony during the first Mobile Suit Gundam series, its knight-like appearance gives it an instantly recognizable silhouette to fans. The calves feature jointed armor to enhance possibility, and the mono-eye can be removed and re-fit to change its gaze left or right. 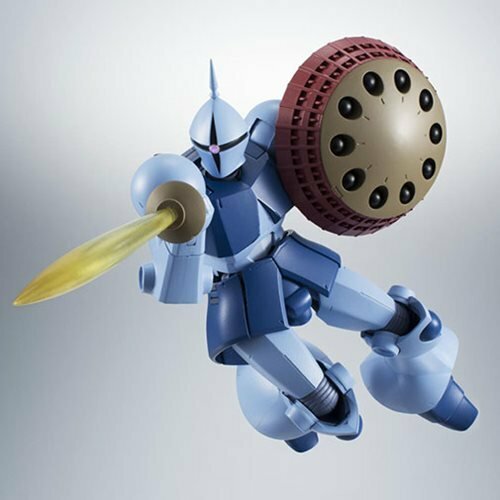 The Mobile Suit Gundam YMS-15 Gyan Ver. A.N.I.M.E. 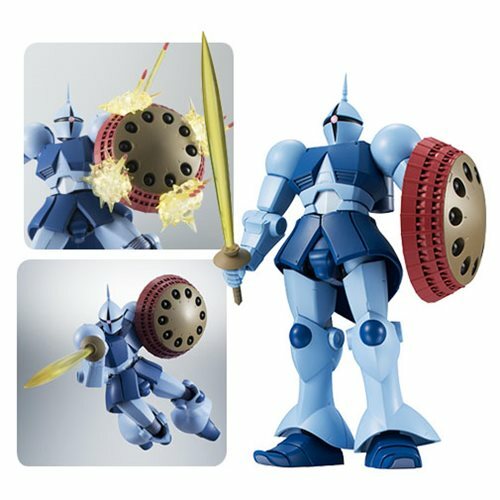 Robot Spirits Action Figure includes 2x mono-eye units, 4x pairs of optional hands, a stand for the hands, a beam saber, a saber grip rack, a shield, a shield mount, 2x pairs of triple-launch needle missile effects, 2x pairs of double-launch needle missile effects, Hyde grenade effect, and flash effect. Measures about 5 1/2-inches tall. Ages 15 and up.